A former college and professional football player and his girlfriend have been arrested and charged in connection with the abuse and death of a five-year-old child. Various national U.S. media sources have reported that Cierre Wood (pictured left) and Amy Taylor (pictured right) are facing criminal charges of murder, child neglect, and child abuse, according to a spokesperson for the Las Vegas Metro Police Department. 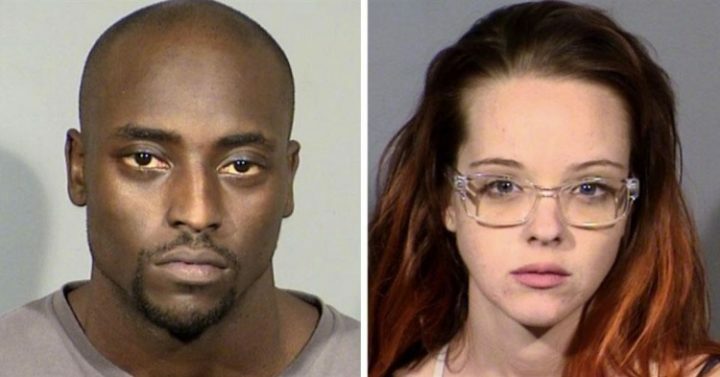 Wood, 28, and Taylor, 26, were arrested Tuesday (April 9) are now in the custody of law enforcement officials in Las Vegas, Nevada at the Clark County Detention Center. Wood and Taylor were in a relationship and lived together with Taylor’s five-year-old daughter. The small, ravaged child was at a Las Vegas hospital Tuesday night where she was eventually pronounced dead. Police have claimed that the five-year-old was beaten to death by Wood. An autopsy is being conducted to determine the official cause of death. Initially, Wood and Taylor were arrested and charged only with abuse and neglect. Wood was released first after posting a bond of $5,000 dollars. By Thursday morning (April 11), Taylor was also in the process of posting a $5,000 dollar bond and getting released. However, Wood was re-arrested and charged with murder when the Clark County District Attorney’s office upgraded the charges in his original indictment for child abuse and neglect. 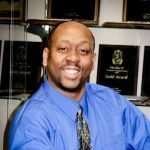 He was recently due in court on Thursday morning regarding the charge upgrade. According to People Magazine, scant details were available about Wood’s early Thursday court hearing. There is no awareness of whether or not he has retained an attorney, entered a plea, or specifics concerning the amount of any new bond that has been set. Typically, when a child murder victim is involved, prosecutors and police officials are mum about details in a such a case, which is standard operating procedure. Wood was a star running back at Notre Dame University. However, he had a very limited career in the NFL with several different teams, including the New England Patriots. Just prior to his arrest, the accused child killer played in the Canadian Football League.